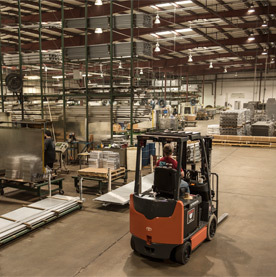 Operating out of Douglas, Georgia, we supply linear and fabricated aluminum components to a variety of markets, including construction, transportation, machinery and equipment, electrical, consumer durables, and recreational vehicles. A complete manufacturer's supplier, Elixir Extrusions specializes in custom aluminum extrusions and fabrication. Our fully integrated aluminum extrusion fabrication facility uses state-of-the-art equipment, including multi axis CNC machines, robotics, and custom finishing systems that are among the most advanced in the industry. Our team is wholly capable to aid in your solutions and custom designs while also providing the best competitive pricing to complete your project. From extrusion, to fabrication, to finishing, to assembly, to packing, we ship your custom-made components ready for the production line. Please explore our site further to learn about our products and services. © 2019 Elixir Extrusions. All Rights Reserved.